In mid-August 2018, Taiwan’s president Tsai Ing-wen undertook her fifth journey abroad since taking office. The nine-day state visit to Paraguay and Belize itself went very well: she was received by the top leaders of those countries, and on the way back made high-profile transit stops in the U.S. cities of Los Angeles and Houston. From August 12th – 13th, President Tsai visited Los Angeles where she was welcomed by a gathering of more than 1,200 members of the Taiwanese-American community, attended by Members of Congress Ed Royce (Chairman of the House Foreign Affairs Committee), Brad Sherman (Ranking member on the sub-Committee Asia & Pacific), and Taiwanese-American Congresswoman Judy Chiu. President Tsai also enjoyed a leisurely lunch with US Congress members Maxine Waters (D-CA), Brad Sherman (D-CA) and Andy Biggs (R-AZ), and had bilateral meetings with New Mexico Governor Susana Martinez, and Senator Cory Gardner (R-CO), the chairman of the Senate’s subcommittee for East Asia & Pacific Affairs, who especially flew to LA to meet with President Tsai. President Tsai also had a telephone conversation with US Senator Marco Rubio (R-FL), who told the president that he would fully support the upgrading of Taiwan-US relations. The second highlight was an informal visit to the 85C Bakery, a popular Taiwanese-owned coffeeshop chain with branches in the US, Taiwan, Australia, Hong Kong and China. She cheerfully chatted with the personnel in the shop and signed a pillow for one of the workers there. Tsai’s office and many in Taiwan criticized the petty behaviour of the Chinese netizens and the politicization of the visit to the coffee shop. Later during her trip, President Tsai stated that Beijing’s suppression of Taiwan is damaging cross-strait relations and runs counter to China’s goal of becoming a respected nation. On the 14th of August, President Tsai departed from Los Angeles to Paraguay, the only remaining diplomatic ally in South America. Whilst there she attended the inauguration of the newly-elected President Mario Abdo Benitez, and visited a number of development aid projects. 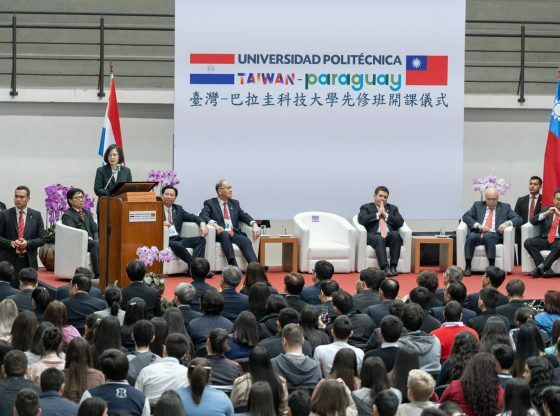 From Paraguay it was off to Belize in Central America, one of the eight countries in Central America and the Caribbean with which Taiwan still maintains diplomatic ties. During her three-day visit there, she was greeted by Governor-General Colville Young, met with Prime Minister Dean Barrow and addressed the Belizean National Assembly. At a ceremony held at the Museum of Belize, Tsai expressed appreciation for the honour bestowed on her, stating that the honour was symbolic of the firm relations between the two countries, as well as a token of recognition for the development of their partnership. She added that for the past 30 years, Taiwan and Belize have maintained close cooperation with regards to infrastructure, agriculture, public health, culture, education and telecommunication spheres. She further expressed that she hoped to see the two countries continue to expand two-way ties based on that foundation. The two visits thus solidified the diplomatic relations with Paraguay and Belize, and gave Tsai an opportunity to enhance the personal rapport with the leaders of both nations. On Friday, the 17th of August, President and her entourage started the return trip to Taiwan, first landing in Houston, where she was also accorded an official welcome, including a police motorcade. The local Taiwanese-American community hosted a large-scale banquet in her honour, attended by more than 1,000 people, including four members of Congress: Congressmen Gene Green (D-TX) and Al Green (D-TX), and Congresswomen Sheila Jackson (D-TX) Lee from Houston and Eddie Bernice Johnson (D-TX) from Dallas. The highpoint of her visit to Houston was a tour of the NASA Johnson Space Center, where she visited the famed Mission Control Center – which directed all Apollo flights and Space Shuttle flights. Afterwards, she toured the legendary Building 9, the astronaut training area, saw a Soyuz spacecraft and various space station simulators of the US, Japanese, European and Russian astronauts. It was the first time a Taiwanese President had visited a US federal facility. The trip to Latin America and the stopovers in the United States show that the dual-pronged policy of the government of President Tsai Ing-wen is working reasonably well. On the one hand, she is attempting to stick to the “status quo” on Taiwan’s terms by maintaining formal relations with its existing diplomatic allies. 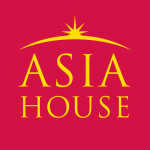 On the other hand, there is a strengthening of the informal but increasingly substantial relations with the United States, the nations of the European Union, and other democratic nations in Asia. These “stopover” visits have over time increasingly gained substance. Yes, the transits are formally designed to provide the travellers “safety, comfort, convenience and dignity.” But the fact that she made several public speeches, visited NASA and other high profile institutions, that the press was able to follow her and report on her activities, demonstrates that the, at times, rather bizarre restrictions which were previously imposed by the US State Department are fortunately a thing of the past. These transit visits have in themselves become a symbol for the good relations between the United States and Taiwan, and of the high level of trust President Tsai has been able to garner through her firm, but moderate and low-key approach to cross-Strait relations. They provide a solid basis for further strengthening the bilateral US-Taiwan relations. Particularly in the US Congress, there is an increasing number of prominent members of both the US House and Senate, who believe that Taiwan’s current predicament requires the United States to make stronger moves to enhance relations with the democratic island. They believe that the current “status quo” approach is untenable and argue for steps in the direction of more normal relations. Together, these Senators and Congressmen present a powerful force in support of better relations between the US and Taiwan. As seen in the visits to Los Angeles and Houston, this is manifesting itself in enhanced transit stops and in the dismantling of anachronistic rules regulating the bilateral contacts and communications. It is a matter of time before this will lead to a strategic rethink of the old “One China” policy, and a move towards more normal relations with the democratic island nation. Gerrit van der Wees is a former Dutch diplomat who served as editor of Taiwan Communique from 1980 until 2016. He teaches History of Taiwan at George Mason University. Image credit: CC by Office of the President, Republic of China (Taiwan)/Flickr.